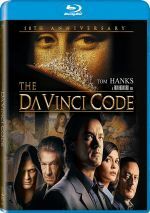 Precisely a decade after The Da Vinci Code introduced symbologist Robert Langdon to movie audiences – and seven years after Langdon’s last cinematic adventure - Dan Brown’s character returns via 2016’s Inferno. 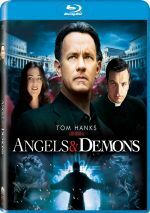 Langdon (Tom Hanks) wakes up in an Italian hospital room with no memory of what landed him there. Dr. Sienna Brooks (Felicity Jones) tells Langdon that a minor bullet wound caused his injuries and memory loss. She helps him escape when an assassin named Vayentha (Ana Ularu) comes after the professor. This sends Langdon and Brooks off to work on a mystery connected to the beliefs of late billionaire Bertrand Zobrist (Ben Foster), someone who felt the Earth suffers from gross overpopulation. Zobrist intended to “solve” this problem via extreme measures, so Langdon needs to decode the clues to stop Zobrist’s lethal plan. Why did it take seven years for Hanks and director Ron Howard to produce another Langdon adventure? I don’t know, but I suspect the semi-lackluster box office receipts earned by Demons acted as a factor. While Code took in a massive $758 million worldwide, Demons fell far short of that total, as it ended up with $485 million. That meant Demons made a profit, but I suspect the nearly $300 million drop from Code left all involved less than enthused about a follow-up. Any hopes that Howard and Hanks will produce a film based on The Lost Symbol - a 2009 Langdon novel – seem dashed given the flop performance of Inferno. It grossed a mere $220 million worldwide, or less than half of Demons’ take. That said, Inferno still probably turned a minor profit, as it seems likely that it made some money due to its $75 million budget. Whatever the case, if Inferno finishes the film series, it does so with neither a bang nor a whimper. As the reviews linked above indicate, Code largely bored me, but I found a fair amount to like about the more involving Demons. With Inferno, we get something between these two, as the film offers decent entertainment but falls short of the relative thrills boasted by Demons. On the negative side, Inferno offers probably the dumbest of the Langdon films. Whereas the first two tended to rely on intelligence and insight, Inferno more often favors ham-fisted action and dumb luck. This means more stretches of logic than usual. Granted, no one viewed Code and Demons as air-tight narratives, but they seem better developed and more concise than this one. Inferno leans toward silliness more often than I’d like. That said, I usually can forgive these lapses because the end product seems pretty entertaining. Unlike the sluggish Code, Inferno moves at a brisk pace, and it gives us a story with dramatic ramifications. This one involves a plot that could result in millions of deaths, so it manages to hit home more than the tales of the other Langdons. I also like the fact that Inferno makes Langdon more fallible. Due to his memory loss, he becomes a less reliable guide to the proceedings, and that adds a nice twist. He remembers enough to still give us his patented encyclopedic knowledge, but his flaws allow for more suspense to develop. Inferno delivers a decent amount of action, which gives it some punch. Happily, it doesn’t turn Langdon into a tough guy, but it does allow for a few exciting events to materialize. All of this leaves Inferno as acceptable popcorn entertainment. While it lacks the intelligence of its predecessors, it still manages to become a moderately fun mystery/thriller. 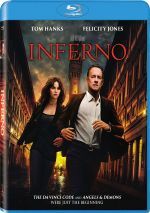 Inferno appears in an aspect ratio of approximately 1.85:1 on this Blu-ray Disc. The movie came with a positive presentation. Overall sharpness appeared good. A little softness crept into some interiors, but in general, the image appeared accurate and concise. No signs of jaggies or moiré effects occurred, and I saw neither edge haloes nor print flaws. To the surprise of no one, Inferno opted for a teal and orange palette. These hues came across as intended, so the choices may have been trite, the disc executed them appropriately. Blacks seemed dark and dense, while shadows looked clear and concise. This was an appealing transfer. When it came to the film’s DTS-HD MA 5.1 soundtrack, it didn’t dazzle, but it suited the story. This meant the soundscape largely focused on ambience, with some emphasis on trippy flashbacks related to Langdon’s foggy mental condition. Those moments added some spice to the proceedings, and the occasional action segment also boasted nice involvement. Otherwise, the mix stayed semi-restrained, as it added environmental material without a lot of oomph. Audio quality satisfied. Speech remained concise and distinctive, while music seemed warm and full. Effects boasted good clarity and impact, with nice low-end as appropriate. Though not a killer mix, the soundtrack fit the tale. Six featurettes appear here, and these launch with Visions of Hell. In this five-minute, 35-second piece, we hear from director Ron Howard, author Dan Brown, visual effects supervisor Jody Johnson, and actor Tom Hanks. “Hell” looks at Dante and how his work influenced the film as well as how the movie brings those visions to life. It gives us a quick and semi-superficial overview. During the 13-minute, 34-second Inferno Around the World, we get notes from Howard, Brown, Hanks, producer Brian Grazer, screenwriter David Koepp, and actors Felicity Jones, Sidse Babett Knudsen, Ana Ularo, Ben Foster, Omar Sy, and Irrfan Khan. This show examines cast, characters and performances. A few interesting tidbits emerge, but most of “World” feels fluffy. The next three pieces look at characters. We find A Look At Langdon (6:21), This Is Sienna Brooks (5:48) and The Billionaire Villain: Bertrand Zobrist (5:13). Across these, we locate info from Howard, Hanks, Jones, Foster, Brown, and Koepp. They give us background and notes about Langdon, Brooks and Zobrist. The clips turn out to be more engaging than expected, as they offer useful backstory. With Ron Howard: A Director’s Journal, we discover a 10-minute, two-second program. In it, we see Howard’s on-set photography and get his observations about the production; Brown throws in a few thoughts as well. Nothing stellar arrives, but Howard gives us a reasonable collection of insights. Seven Extended and Deleted Scenes fill a total of 27 minutes, 19 seconds. I appreciate the length of the scenes, as they average nearly four minutes apiece – quite long for the average cut sequence. However, they don’t give us much that seems new or interesting. These tend toward the “extended” side of the street, as most add to existing sequences, and these fail to contribute much to the characters or narrative, though one does hint at a more hopeful romantic future for Langdon. The disc opens with ads for Billy Lynn’s Long Halftime Walk, Passengers, The Magnificent Seven (2016) and Beyond Valkyrie: Dawn of the Fourth Reich. No trailer for Inferno appears here. As the newest entry in the Robert Langdon series, Inferno provides decent entertainment. While the movie sputters at times, it usually delivers a fair amount of excitement – even if logic occasionally suffers. The Blu-ray brings us fairly good picture and audio along with a decent array of bonus materials. Inferrno continues its franchise on a moderately positive note.